Avengers Infinity War: We all were considering that ‘Captain America: Civil War’ was something beyond belief and vast with its two rival armies of superheroes. But a study about “Avengers: Infinity War” reveals that we are still far away from seeing more. There’s no stop to the journey of the Marvel Cinematic Universe which is reaching high up to the extraterrestrial busy for years. In addition, it will be expanding over two films along with triple the cast of Cap’s brand new outing. The directors of Winter Soldier and Civil War, namely, Anthony and Joe Russo, respectively, are coming back again to deal with the Marvel’s monster. This will ultimately lead to a reunion between them and the writers Christopher Markus and Stephen McFeely. Moreover, the director of Guardians of the Galaxy, James Gunn will be taking the place of the executive producer along with Jon Watts (Spider-Man: Homecoming). What will happen when the mad titan Thanos appear swaying in the double movie? Read out the article to be aware of everything while dealing with the all-out Avengers war. With no wait, the first trailer is out for the fans. Watching it, one can just think about how far the movie would be going. That’s thrilling to watch! The beginning of the teaser accounts with a nod back to the Avengers casting Samuel L Jackson stating, “There was an idea…” What does this mean? Is this a hint of the entry of the man who guided them to come together, Nick Fury? The next encounter is with the Avengers where Ant-Man is excluded. However, he could be in the background somewhere. A moment is captured between the Vision and Scarlet Witch. The viewers might fall in love with the appearance of Peter Parker’s Spidey sense prickling and all of a sudden in action with his new Iron Spider suit. Another thrilling part is catching the return of Hulkbuster armor. Is there an afresh mode turned on which has perhaps made Bruce Banner’s alter ego gone rogue? Further, the presence of Black Panther and Okoye battling alongside Black Widow, Iron Man, Hulk, Falcon, Winter Soldier and Captain America – has added more adventurous theme to the movie. Talking about the villain’s side, Thanos appears floating and hovering in his huge-ringed ship above the New York City. Moreover, he has snatched the Mind Stone from the Vision and hit Iron Man with a deadly punch. What’s happening with Loki? What did he intend to do with the Tesseract? Ultimately, the teaser ends where Thor encounters the Guardians of the Galaxy gang. The movie was announced as a two-part movie including Avengers: Infinity War – Part 1 with a follow-up, a year, later by Avengers: Infinity War – Part 2. According to the latest news, Marvel is planning a stiffer line between the two. The first part of the movie briefly titled as Avengers: Infinity War would be following a similar release pattern. It will be released first in the UK on April 27, 2018, and then in the US on May 4, 2018. 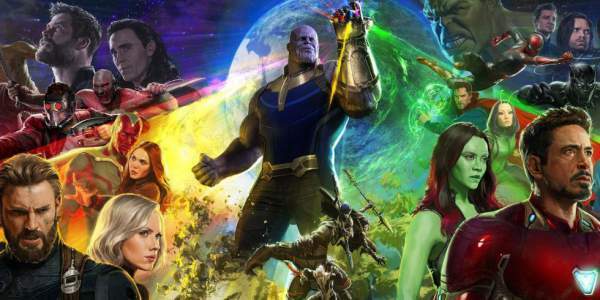 The second part of the film briefly titled as “Untitled Avengers” would premiere in the UK on April 26, 2019, and in the US, the release date is May 3, 2019. The filming for the second part began in the summer 2017. The Russos declared the foregoing titles as “deceptive”. Moreover, they added that the two films will be unique in themselves. The point of discussion just begins here is, to what extent they will be different along with what extent of similarity will be between the two. Thus, the ultimate proclamation of the second title would throw some light on this notable enigma though it demands quite a bit of time. The early glance at what comes into sight to be Josh Brolin donning a mo-cap suit seated throughout rehearsals. The shooting for the second part has already begun in Summer 2017. Wish to catch up with behind-the-scenes images? Catch up on the Russo brother’s Facebook page for the same as the shooting has begun. In the last of 2017, the trailer for Avengers: Infinity War was screened at the end of Disney D23 expo. The crowd applauded it and gave a standing ovation. Disney didn’t premiere this special footage, though a large part of it seems to have been included in the new trailer of the film. The beginning is captured by Thor floating through space when he collides into the Milano, Star Lord’s spacecraft from Guardians of the Galaxy and then is escorted by the Guardians. He remains unconscious on the ship and promptly get in senses as the Guardians were examining him. Later on, he introduces them to rest of the Avengers. We also see Peter Parker perceiving the Spidey Sense on his School bus for the very first time. He senses the arrival of Thanos. In the succeeding moment, we got our eye on Spidey in action in donned in the Iron Spider suit. That’s quite thrilling! Then comes up the short encounter with Scarlet Witch blowing up some cars. No reason in context for her action. Maybe, she has turned evil. Moreover, Tom Hiddleston is back as Loki (yey!). Loki is unveiled possessing the Tesseract in the mid of ruination. The huge war begins between Avengers and Guardians against Thanos. Thanos precisely bangs the armour off Iron Man. With no doubt, Tony also brings back the Hulkbuster armour. Captain America (Steve) is seen with a beard. Each cast member of ‘Infinity War’ has not been revealed by Marvel. The Russos brothers are expecting to include around 67 characters in the IW and its follow up film. So, we can assume that we would a lot of Avengers’ characters in a mix. Talking about the main villain in Avengers: Infinity War, we can’t miss the entry of Josh Brolin’s Thanos. This time, his appearance would be more than pure CGI. His existence will be seen overturning Marvel’s villain complication by turning his role as the “main character” in the movie course. Check: The Crown season 3. The directors have confirmed the entry of Chris Pratt’s Star-lord, Chris Hemsworth’s Thor and Elizabeth Olsen’s Scarlet Witch/Wanda. Moreover, the Guardians of the Galaxy including Star-Lord (Chris Pat), Drax (Dave Bautista), Gamora (Zoe Saldana), Mantis (Pom Klementieff), Rocket (Bradley Cooper/ Sean Gunn) and Groot (Vin Diesel) will also be appearing. There will be a time difference of four years between Guardians of Galaxy 2 and Infinity War. Robert Downey Jr will be back in the role of Iron Man. In a conversation with Jeremy Renner, he revealed that Hawkeye will come back to shoot the next day. It appears like Sebastian Stan’s Winter Soldier will be defrosted out for the film. Doctor Strange will be returning for the film too. According to the Avengers: Infinity War updates, Benedict Cumberbatch said in an interview that there was a logistical challenge to find a common schedule for all the Marvel stars. But, he also added that the team worked on it. On the other hand, we saw Kevin Feige (Marvel Studios president) confirming that some Illuminati will join Doctor Strange. Benedict Wong has also put a confirmation stamp on his role of Wong in the Avengers: Infinity War movie. There has been scarcity on the official declarations. Nevertheless, a casting call has confirmed the other actors, namely, Chadwick Boseman (Black Panther), Scarlett Johansson (Black Widow), Mark Ruffalo (Hulk), Chris Evans (Captain America). More explorations will be seen with likes of Samuel L Jackson (Nick Fury) and Karen Gillan (Nebula). The appearance of Paul Rudd in the role of Scott Lang/ Ant-Man is not missed. Tom Holland silence on the entry of ‘Spider-Man’ is keeping the viewers dangling in the midst of the situation. But it is expected that Spider-Man will be returning for the film. The confidentiality has remained so tight that he was engaged in a fight shot without even knowing who he is fighting with. Maybe, his costume will be covering the glimpse of ‘Iron Spider’ of the Homecoming. Thor: Ragnarok’s Tessa Thompson will be reprising her role as Valkyrie. One of the stars from Guardians of the Galaxy Vol 2 won’t be showing up in the film. There’s no miss to the MCU newcomers Letitia Wright, Winston Duke and Danai Gurira in their ‘Black Panther’ roles representing T’Challa’s ally Okoye, his sister Shuri and the villain M’Baku. In an interview, Mark Ruffalo mocked there might be an arrival of Cate Blanchett’s Hela from Ragnarok and Tilda Swinton’s The Ancient One from Doctor Strange. However, the fact is not so established yet. The one supporting character being skipped from the film is Marisa Tomei’s Aunt may. Though Sally Avril (Isabella Amara) from Spider-Man: Homecoming is going to return. Some hearsay are prevailing in the environment that say that Hayley Atwell is returning in the role of a recently deceased ‘Agent Peggy Carter’. The expectations have been dejected regarding the debut of Brie Larson’s Captain Marvel in ‘Infinity War’ before her own 2019 solo film. Possibly, she will be ultimately uniting with her companion Marvel heroes in ‘Avengers 4’. Regarding MCU newcomers, it is gossiped that Peter Dinklage from Game of Thrones will be appearing in the film. Maybe, we’ll see Benicio del Toro back again as the Collector. Moreover, the return of Yondu (Michael Rooker) and The Ancient One (Tilda Swinton) seems to be possible to some extent. There is a Avengers: Infinity War theory that Spider-Man character ‘Silk’ could make an unexpected appearance. Talking on the side of villains, hints are out that Thanos’s henchman the ‘Black Order’ is forthcoming to the MCU. More villains have already been confirmed by Disney. It includes Ebony Maw, Corvus Glaive, Cull Obsidian (The Black Dwarf) and Proxima Midnight. They may have been altered to be the children of the Titan, like his adopted kids ‘Gamora’ and ‘Nebula’. Love/ Hate’s ‘Tom Vaughan-Lawlor’ will be portraying Ebony Maw. With so much of explorations, we can consider that the upcoming movie ‘Infinity War’ will be turning out to be the lengthiest MCU movie yet. Feige, in a conversation with Vulture, said that he is willing to see the meeting of Doctor Strange and Iron Man on the bug screen. Moreover, he wish to catch this before the other meetings in the film. Let me come up to the wish-list of the viewers. Some of the new and the most lovable Marvel heroes – Luke Cage, Jessica Jones and Daredevil are not finalized for the movie yet. Though, Daredevil star – Charlie Cox still has an option for the films in his contract. So, it’s not completely iimpossible to see him on the big screen. According to the latest reports, it is being said that Avengers: Infinity War could end up at the top of the list of most expensive movies ever made with a budget of $400 million. It will leave behind the current front runner Pirates of the Caribbean: On Stranger Tides which was made on a budgt of $378.5 in 2011. The thing is still considered a gossip but it can be noted as credible statement considering the enormous cast and the broad takings of the previous Avengers films which stands at #5 and #7 in the list of all time highest grossing films. The Avengers: Infinity War finale of the film may have been spoiled by Ruffalo. The story part of ‘Infinity War’ has been in writing from the very early period on in existence of the MCU recognised as the strongest objects specially referred to as the Infinity Stones have been given much focus. Thanos raises the demand of amalgamating them in the Infinity Gauntlet so as to enable the situation of ‘balancing the universe’, or whatever it’s synonyms may refer. Possible, the storyline is picked from the 1991’s classic ‘Infinity Gauntlet’ comics instead of drawing it from its sequel which was titled as ‘Infinity War’, that motioned the focus on the battle between Adam Warlock and his evil ego the Magus over the gauntlet. Moreover, a latest unnamed Marvel source pointed towards the thing that this would be the entire case and also said that a major part could be played by the female personification of Death . The romance between Avengers will also be in the presence giving as new look for the Vision. In addition, there may be a catch up with a destructive reunion connecting Black Widow with Bruce Banner. However, there has been a revealing of a picture that points towards big alterations for Iron Man. That’ll be exciting to watch! According to Charles Wood (Production designer), Infinity War will be leading our path to many, many and many new worlds. Though we are uncertain with the fact whether his hints are actual or just resembling a figure of speech. There will be the appearance of some Asgardians which are much aware of how to deal with their magical “Rainbow Bridge”. Moreover, it has also been revealed that Strange could act as a helping hand to mend the cracks between Captain America and Iron Man, if it hasn’t been fixed already as reflected in the Spider Man: Homecoming. Nebula, the adopted daughter of Thanos could be given a significant role in the film. She will get a brilliant and unexpected new BFF. Karen Gillan won’t be back-stepping from his promise that her backstory will be turning even worse (somehow). From the very existence of every particular thing in the movie, you can be sure that this won’t be the ultimate conclusion of the MCU. In fact, you can even bet on the fact. You won’t be able to get in contact with the people who’ll take up your bet. We are closer to a superhero future extending ahead of us. Though we can expect some flips or alterations in the movie on the course. There’s a technical change that is newly discovered fact till now. The Russos’ plan will eventually be on the first to be filmed on IMAX’s new 2D digital camera, one of a customised version of Arri’s Alexa 65 which is showcased to significant effects in ‘The Revenant’. Earlier, The camera has already been used for about 15 minutes for recording of Civil War. Are you excited for the Avengers: Infinity War film? For more updates and news hub, stay tuned to TheReporterTimes!